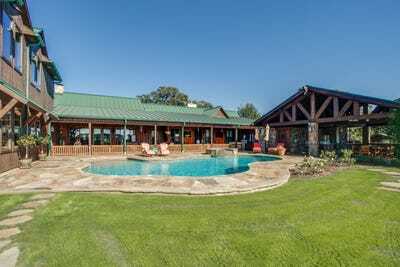 Retired NFL legend Terry Bradhsaw has listed his ranch in Oklahoma for $US9.95 million. 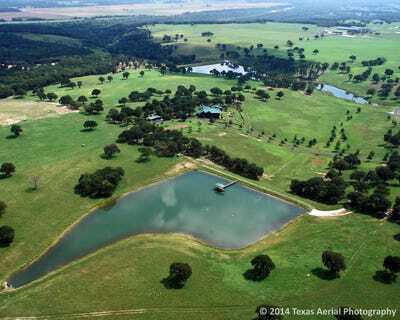 The 750-acre Circle 12 Ranch is listed with Bernard Uechtritz and Angie Nelson of Briggs Freeman Sotheby’s International Realty in Dallas. 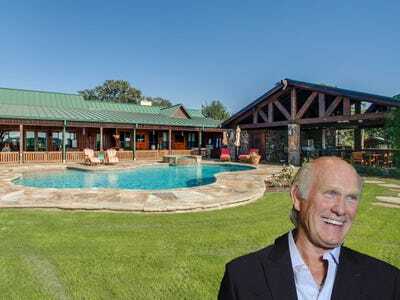 Uechritz told Business Insider that Bradshaw originally listed the property in 2012 with local real estate companies, but after buying a properties in Hawaii and Texas, Bradshaw relisted the ranch with Sotheby’s to try and sell it more quickly. 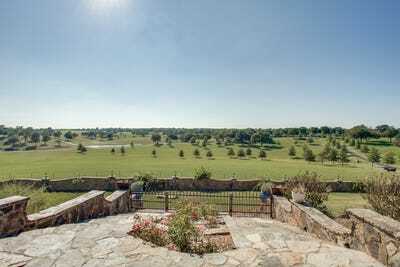 The main estate features an 8,600-square-foot estate with six bedrooms and six bathrooms. 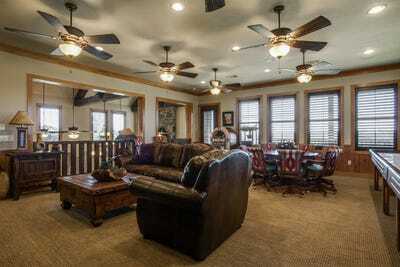 The inside boasts high ceilings, wooden panels, and stone fireplaces to capture the ranch feeling. 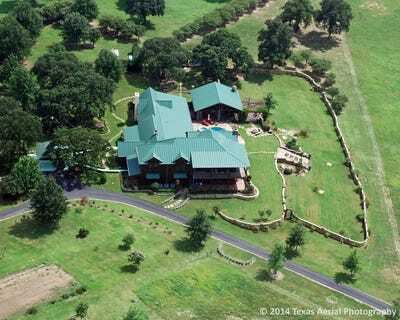 Outside of the main estate, there are two fully stocked fishing lakes, stables and equestrian training courses, and rolling hills filled with cattle. 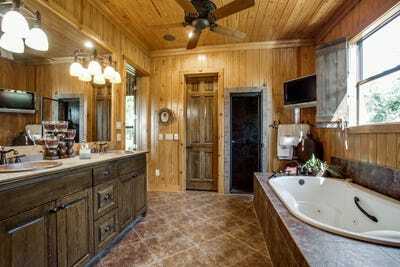 The property is sprawling and wooded. 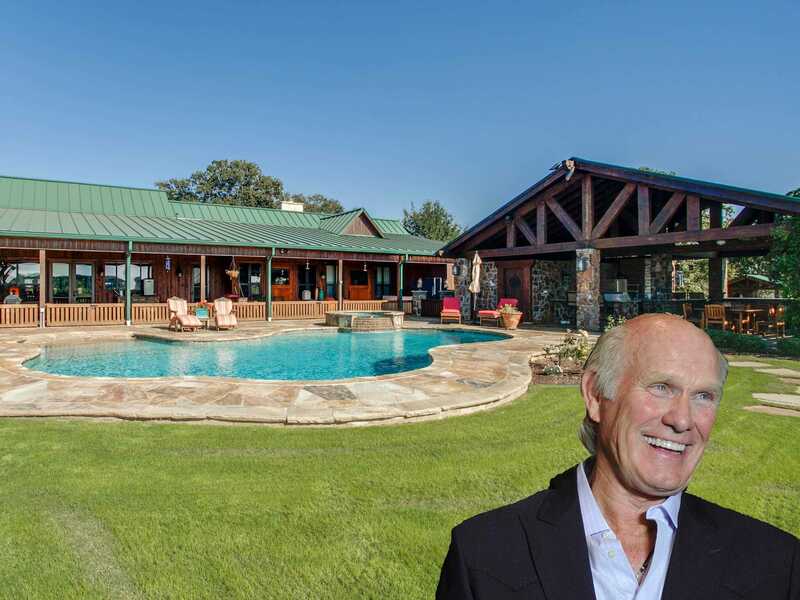 The main estate sits on a large, well groomed yard with a pool. 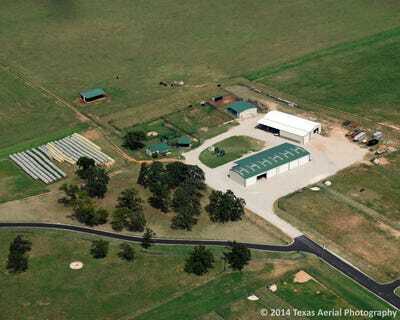 A closer look at the main estate. The main estate connects to the pool and cabana. 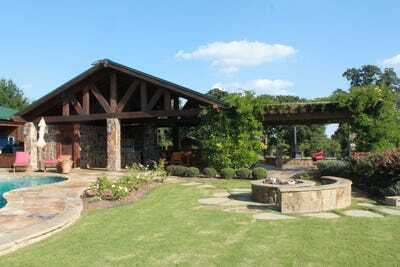 The pool and cabana has a beautiful view of the sprawling property. The cabana and backyard firepit. 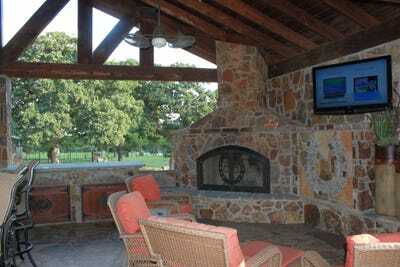 Inside the cabana is a bar and stone fireplace. 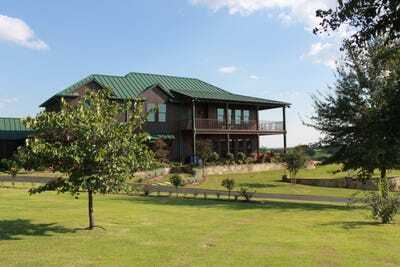 The view of the backyard and property. 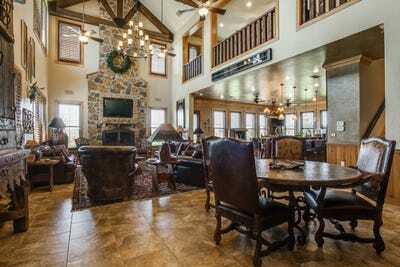 The inside of the house has high ceilings and a cozy feel of wood and stone. 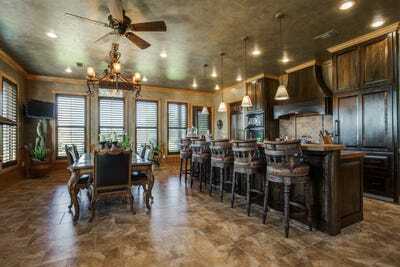 The kitchen boasts more stone and wood at the bar and dinner table. A side room with wood panels and a view of the backyard. 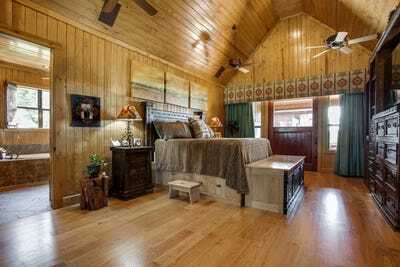 The master bedroom certainly captures the ranch ambiance. 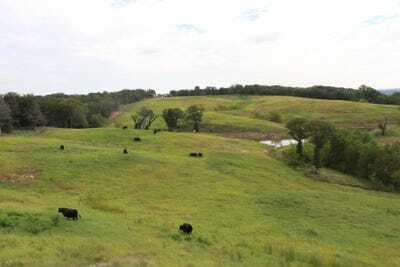 Further out on the property are rolling hills with cattle. 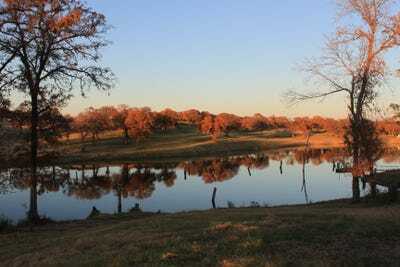 There are two stocked fishing lakes. 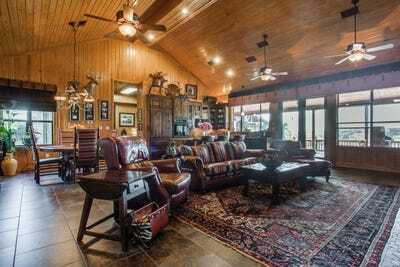 The property also features stables and an equestrian training center. 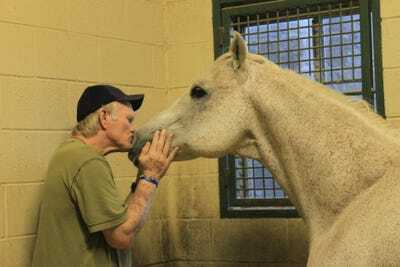 Terry and one of his beloved horses!. 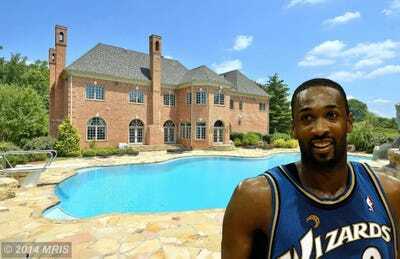 Other sports stars are selling, too!